The Zonta Club of Milwaukee was the 39th to be chartered – on January 08, 1926 – with 30 charter members in retail, finance, medicine, music, real estate, law, insurance, and education. 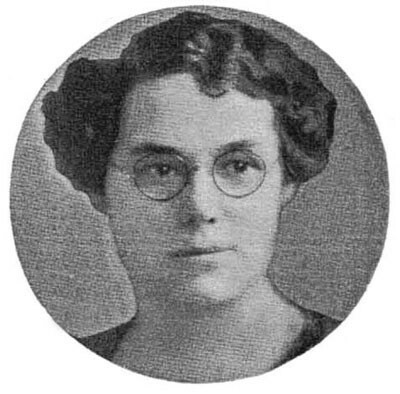 Dr. Bessie Childs, an Osteopath, was the first Club President. 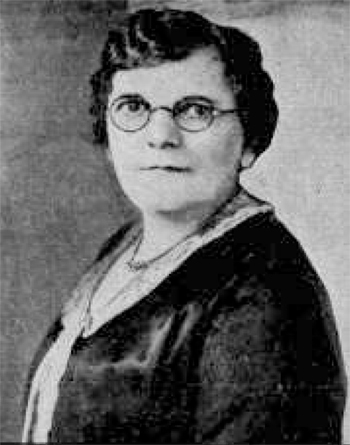 Other charter members were: Edith M. Shaw, Adeline T. Ricker, Marie K. Franzen, Fannie V. Gassman, Delia G. Ovitz, Katherine R. Williams, Daisy L. Carrington, Ruth Foster, Anna E. Koerner, Lillian Baker, Mary S. Berry, Mrs. G.L. Andrews, Bessie O’Leary, Adele Abert, Rose Gemler, Harriet Semler, Edith McCann, Grace A. Kelly, Louise M. Rubs, Anna Leisk, Bertha Ehlers, Maud Swett, Anna B. Swinney, Beatrice Robart, and Gertrude M. Jacobs. Early goals included assessing the needs of women working in industrial environments, mentoring and training twelve girls to develop their skills as effective employees in the industrial workforce. 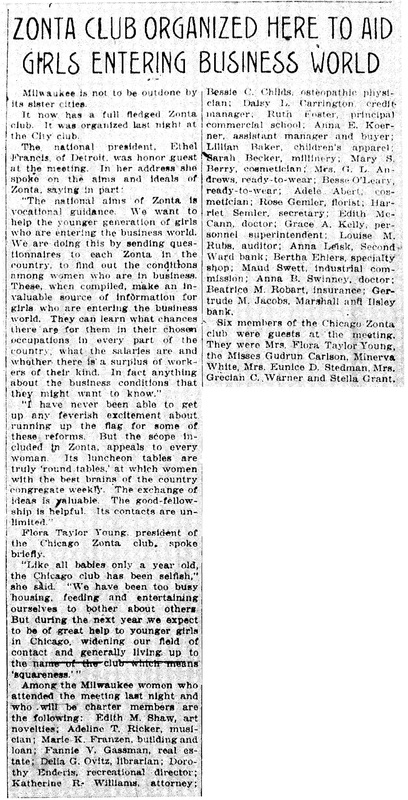 The Club even had its own drum corps that performed for sick children and the elderly in hospitals during the 1928 Zonta Convention in St. Paul, MN. 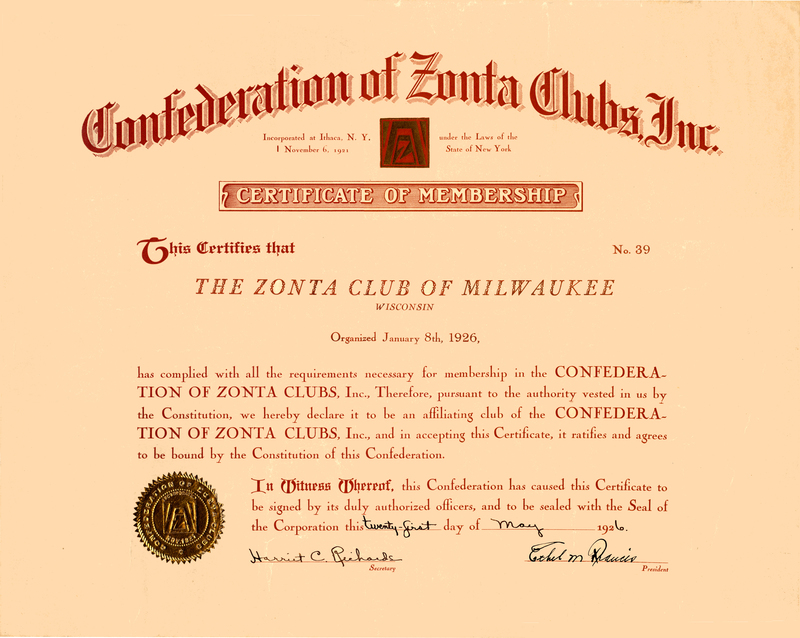 In 1927, Toronto, Canada was admitted to the Confederation of Zonta Clubs and by 1930, the Confederation was incorporated as Zonta International.